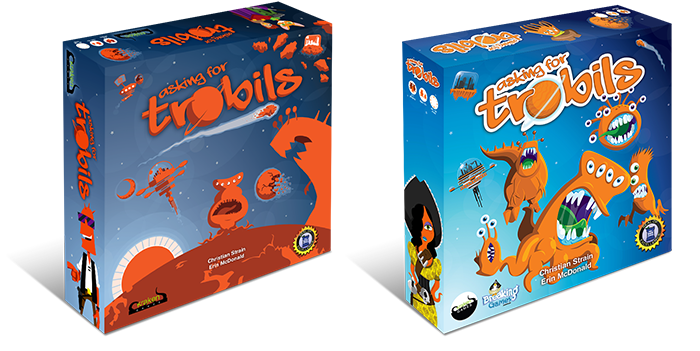 Asking for Trobils is a published boardgame sold around the world. It is currently out of print, but a reprint with new art is due for early 2017. The first print won the Dice Tower Seal of Excellence Award and sold out in less than a year. It was also named as the number one Family Game of the Year for 2015 by reviewer Tom Vasel. The second print will feature new art. I share the game’s design and development credits with another designer, Erin McDonald, but all art and graphic design are mine. 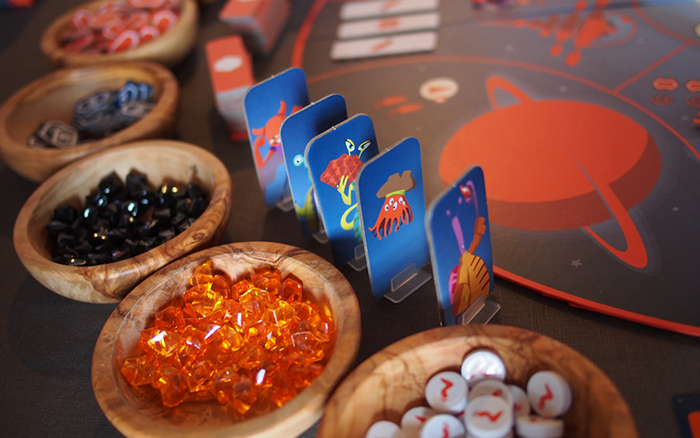 Asking for Trobils isn’t my only published game as a designer or artist, but it is my most successful, for now. Other games I have designed include Evil Intent, Flipping Monsters, Zosimos, and I have several graphic design credits with other game companies for other products not yet published. 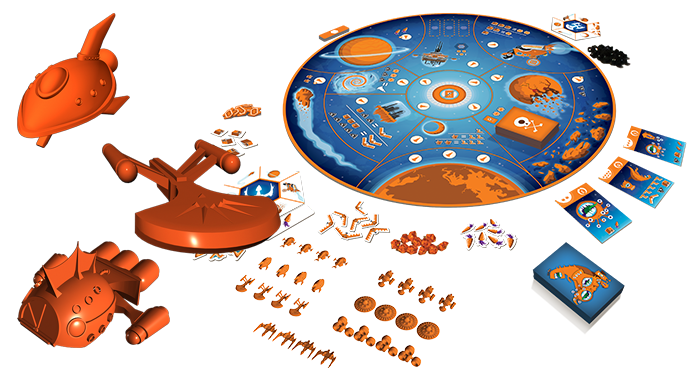 The game comes with a custom round board, 28 plastic ships I modeled in 3D, several custom wood cut pieces, and card designs and rulebook. The 7 different ship designs were one of the main attractions to the game for customers. 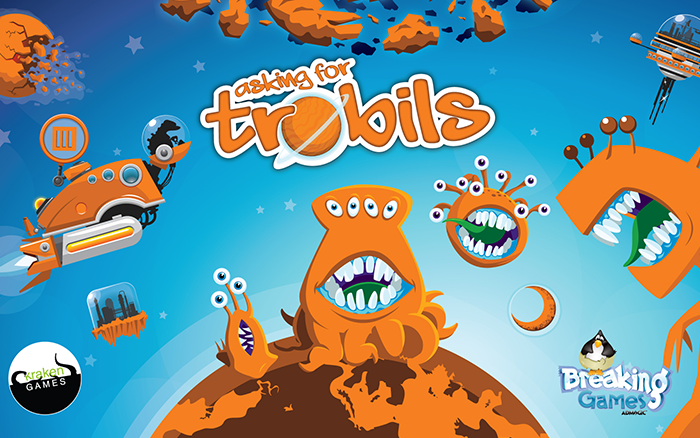 Asking for Trobils was originally funded through Kickstarter. I created the video for the Kickstarter campaign as well as all ads and marketing materials. I also ran the campaign and social media drive that lead to its success.